In recent years the customers, local communities, international organizations, government agencies and other stakeholders have put pressure on the world of business for environmental protection. The aim of the study is to determine to what extent enterprises have re-evaluated the approach to management in the supply chain towards “green” activities. The research was conducted among entities registered in Poland. The study, among other things, established that most frequent activities are those implemented in the area of product policy, while the least frequent activities are those implemented in the line of producer-supplier activities. This may indicate a low level of development of green chains and an easier way to enforce green behaviour from entities from the upper section of the supply chain. Abbasi M, Themes and challenges in developing sustainable supply chains. Towards a complexity theory perspective, Media-Tryck AB, 2012, Lund. Ameknassi L., Aït-Kadi D., Rezg N., Integration of logistics outsourcing decisions in a green supply chain design: A stochastic multi-objective multi-period multi-product programming model, International Journal of Production Economics, 2016, 182, pp.165-184. 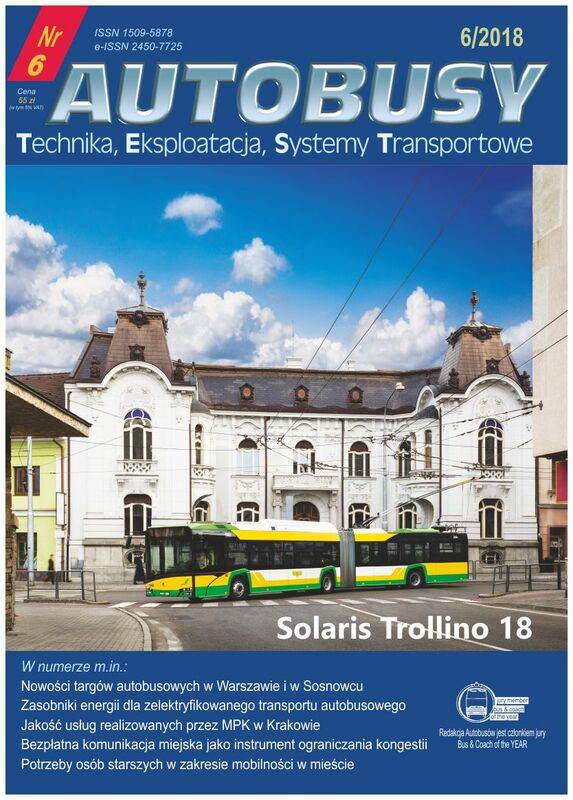 Babula M., Pietruszczak D., Wybrane aspekty ekologicznych pojazdów samochodowych, Autobusy : technika, eksploatacja, systemy transportowe, 18(6), s.50-54. Balon V., Sharma A.K., Barua M.K., Assessment of barriers in green supply chain management using ISM: A case study of the automobile industry in India, Global Business Review, 2016, 17(1), pp.116-135. Bhatia N., Chand M., ANP based Model for the Identification of Select Issues of Green Supply Chain Management (GSCM), International Journal of Applied Engineering Research, 2014, 9(4), pp.469-475. Carvalho H., Cruz-Machado V., Integrating Lean, Agile, Resilience and Green Paradigms in Supply Chain Management (LARG_SCM), w: Li, P. (ed. ), Supply Chain Management, InTech, 2011, New Delhi. Chencheng F., Jiantong Z., Performance of green supply chain management: A systematic review and meta analysis, Journal of Cleaner Production, 2018, 183, pp.1064-1081. Choi D., Hwang T., The impact of green supply chain management practices on firm performance: The role of collaborative capability, Operations Management Research, 2015, 8(3-4), pp.69-83. Dubey R., Gunasekaran A., Papadopoulos T., Green supply chain management: theoretical framework and further research directions, Benchmarking: An International Journal, 2017, 24(1), pp.184-218. Ghobakhloo M., Tang S.H., Zulkifli N., Ariffin M.K.A., An Integrated Framework of Green Supply Chain Management Implementation, International Journal of Innovation, Management and Technology, 2013, 4(1), pp.86-89. Goshen S., Kumar E.R., The Implementation of Green Supply Chain Management Practices in Automobile Industry, International Journal of Innovative Research in Science, Engineering and Technolog, 2015, 4(4), pp.233-237. Hervani A.A., Helms M.M., Sarkis J., Performance measurement for green supply chain management, Benchmarking. An International Journal, 2005, 12(4), pp.330-353. Jingzhe G; Zhongdong X., Binbin C., Qiangfei Ch., Green supply chain planning considering consumer’s transportation process, Transportation Research Part E, 2018, 109, pp.311-330. Kannan G., Noorul Haq A., Sasikumar P., Arrununchchalam, S., Analysis and Selection of green suppliers using interpretive structural modeling and analytic hierarchy process, International Journal of Management and Decision Making, 2008, 9(2), pp.163-182. Laari S., Töyli J., Ojala L., Supply chain perspective on competitive strategies and green supply chain management strategies, Journal of Cleaner Production, 10 January, 2017, 141, pp.1303-1315. Lin C.Y., Ho Y.H., An Empirical Study on Logistics services provider, intention to adopt Green Innovations, Journal of Technology, Management and Innovation, 2008, 3(1), pp.17-26. lsam S., Karia N., Fauzi F.B.A, Soliman M.S.M., A review on green supply chain aspects and practices, Management and Marketing, Challenges for the Knowledge Society, 2017, 12(1), pp.12-36. Łukasik Z., Kuśmińska-Fijałkowska A., Kołodziejczyk P., Transport intermodalny alternatywnym rozwiązaniem dla zachowania równowagi ekologicznej, Autobusy : technika, eksploatacja, systemy transportowe, 2017, 8(3), s.45-50. Malviya R.K., Kant R., Modeling the enablers of green supply chain management: An integrated ISM – fuzzy MICMAC approach", Benchmarking: An International Journal, 2017, 24(2), pp.536-568. Maryniak A., Stefańska M., Diffusion of knowledge about sustainable supply chain, International Journal of Arts & Sciences, 2015, s.173-184. Orzeł A., Stepaniuk R., Zrównoważony transport miejski w ramach Programu Operacyjnego Polska Wschodnia 2014-2020, 2017, Autobusy : technika, eksploatacja, systemy transportowe, 18(1-2), s.37-39. Sarkis J.,A, Strategic Decision Framework for Green Supply Chain Management, Journal of Cleaner Production, 2003, 11(4), pp.397-409. Srivastava K.S., Green supply chain management: A state-of-the-art literature review, International Journal of Management Reviews, 2007, 9(1), pp.53-80. Wong C.Y., Wong C.W.Y., Boonitt S., Integrating environmental Management into supply chains, International Journal of Physical Distribution & Logistics Management, 2015, 45(1/2), pp.43-68.